The 'Plus One' addition to the GTR Ranges is available as a 3+1, 4+1, 5+1 and 6+1. The 19 mega joule stainless wok burner is available with a flat lid or a small roasting hood. Many other BBQs on the market have vented sides, or the base or back is open meaning you're dependent on external factors to try and cook that perfect steak! The unique GTR twin skin insulated and sealed firebox means you get the same performance no matter where you are - in a sheltered environment or right on the windy coast. The high powered GTR burners are fully protected, meaning we can also position them to maximise heat spread and minimise flare ups. 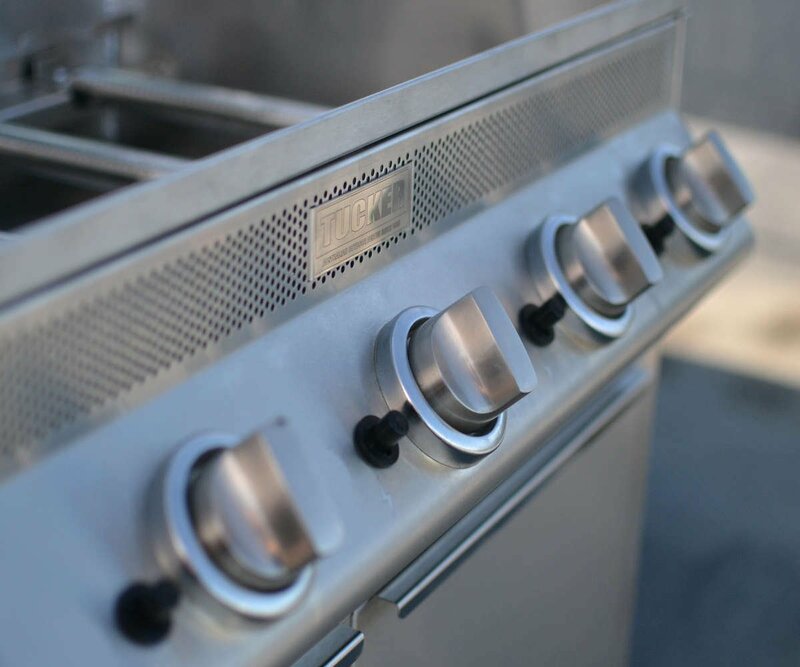 Other units on the market need to position their burners quite close to the plates and grills to avoid heat escape from the open base of their barbecues. Because the GTR is fully insulated, we have more room to move and all our heat evenly rises to the cooking surfaces providing superior control. This design costs more to manufacture, but much more energy efficient to use. With all the heat retained inside the firebox, the Tucker GTR is up to 60% more efficient than other BBQs yet the internal temperature of the unit can still reach a whopping 550℃. The twin skin firebox means you can still touch the external body without getting burned. Our Tucker GTR Flame Guards protect the full length burners, and their pyramid design contributes to the amazing heat consistency found in this series. The slimline front loading drip tray makes cleaning excess oil a breeze. Simply pull out from the front of the GTR and rinse. 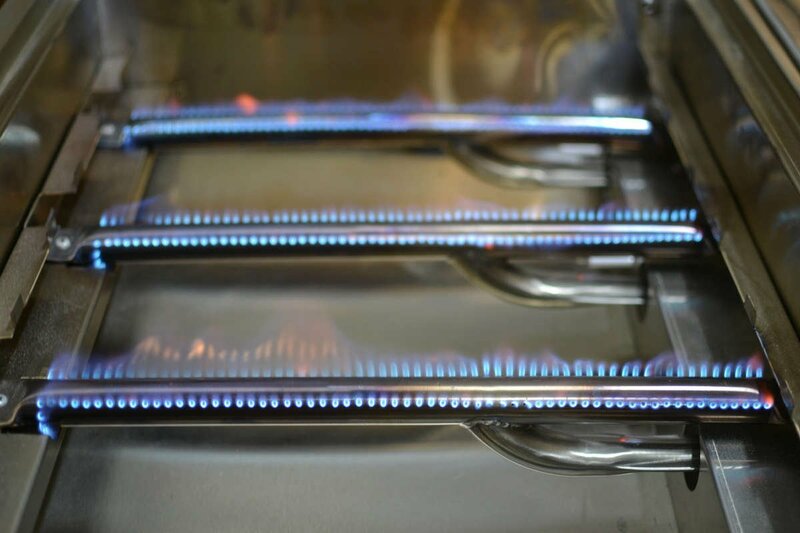 Our classic Tucker piezo ignitions are installed on every burner, don't require batteries or electricity - and last for years. We are truly proud of the Tucker GTR Barbecue range. We are the only Australian company that 100% owns it's manufacturing plant, which nearly every component is made in our facility, in house. This means we don't need to compromise on our designs. We also service repair all our current and legacy Tucker units - we're repairing units across Sydney that we made 20 years ago! We hope you consider purchasing a GTR and take your cooking to the next level.